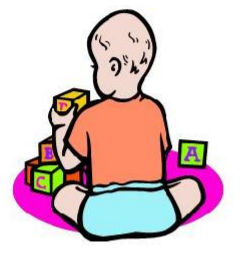 The Tuesday Baby and Toddler Group meets every Tuesday morning during school term time in the St. Andrew's Room adjoining church from 10am to 12 noon. This is a very informal group and there is no need to register in advance so just drop by. It is a great time to relax and enjoy a coffee whilst meeting new friends and there are plenty of toys, crafts and dressing up clothes for our younger friends to enjoy. Towards the end of each session we have a time of nursery rhymes and singing. We welcome all mums and dads, grandparents and carers. There is no registration fee - we just ask you to make a donation of £1.50 each time you come to help us cover our costs and to help us support children in need through the Children's Society. The last session before Easter is the 2nd April, the next session will be on the 23rd April. Thursday Twinkle Tots is held every Thursday morning at 9.30am to 11am during school term time in the St. Andrew's Room adjoining church. Come and make friends, enjoy play, craft and bible stories and songs. The last session before Easter is the 4th April, the next session will be on the 2nd May.